Another recipe from my mother's old recipe book. 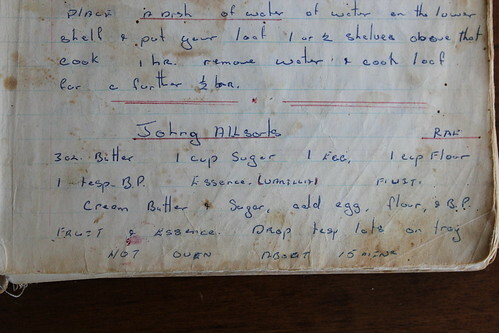 Her notes indicate the recipe came from my father's sister. I have no idea where the name came from. Beat in egg and essence. Mix in sifted flour and baking powder. Drop teaspoonful lots on a baking tray. Allow room for these to spread to about 5cm diameter. Bake in a hot oven (about 210°) for 12-15 minutes. Allow to cool slightly before removing from the baking tray. These will harden up as they cool. As you can see, the original recipe had no quantity of fruit listed. 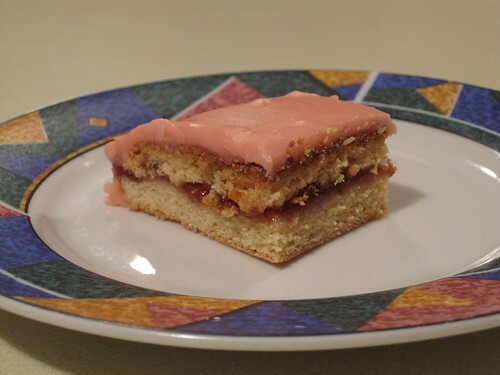 The ones in the above photo were made with ¾ cup raisins as it's what I had on hand. I've tried these using glacé cherries and candied peel as the fruit. They were less successful. They spread thinner and burned easily. 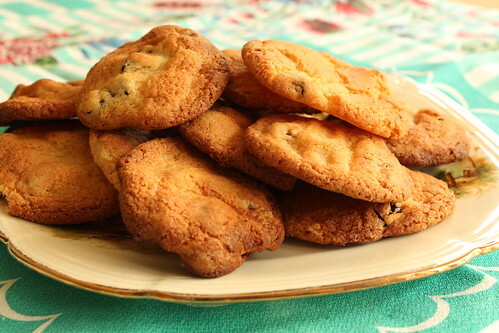 I'll serve these at Christmas with a dusting of icing sugar and see how well they go. I use the large cast-iron frying pan shown in the photo to make this in. Add oil to a 25cm seasoned iron frying-pan; place in oven. Mix together the cornmeal, flour, salt, baking powder and soda. In another bowl, whisk buttermilk and milk with eggs and melted butter. Gradually fold milk mixture into dry ingredients, folding and mixing just until all dry ingredients are moist. Carefully remove the hot frying-pan from the oven. Swirl slightly so the hot oil coats the sides of the pan. Pour batter into pan and return to oven. Redeuce temperature to 175°C. 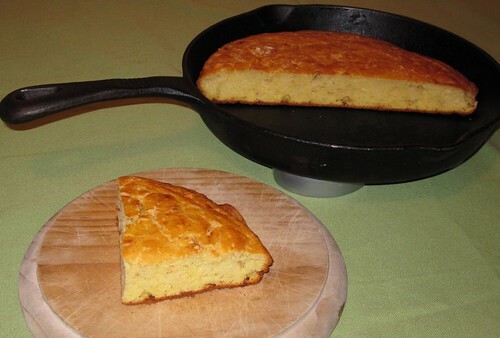 Bake for 35-45 minutes, or until cornbread is lightly browned and pulls away from the sides of the pan. Serve cut into wedges or squares.